All events are listed in our calendar on our Events page, you can see and click on highlighted dates at the bottom of every page too. If you are thinking of joining a choir, see our Rehearsals page, Membership page and contact details for further information. 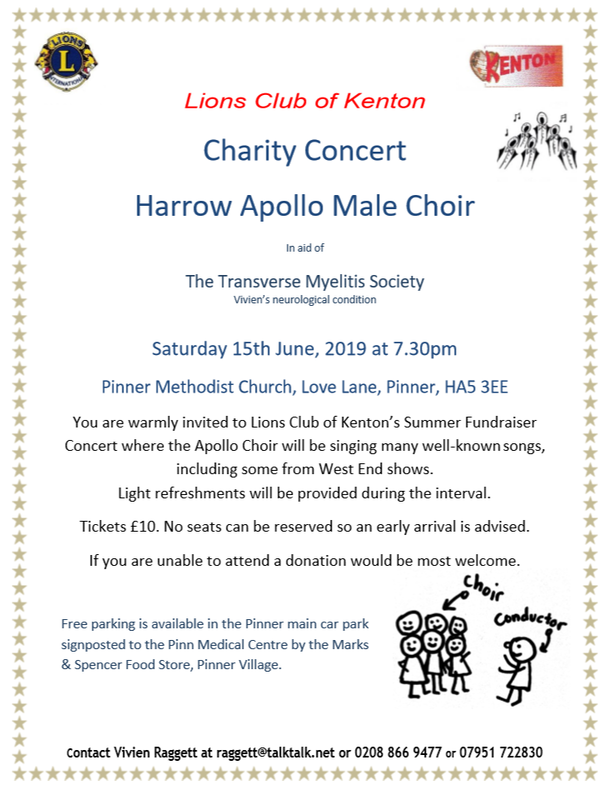 Please come along and support this charity concert. For location map and other general information see our Events page. A warm welcome awaits you at our rehearsals. Experience the camaraderie of singing in a choir. We hope you like it and may decide to come back but there is no obligation. For location map and other information see our Rehearsals page. 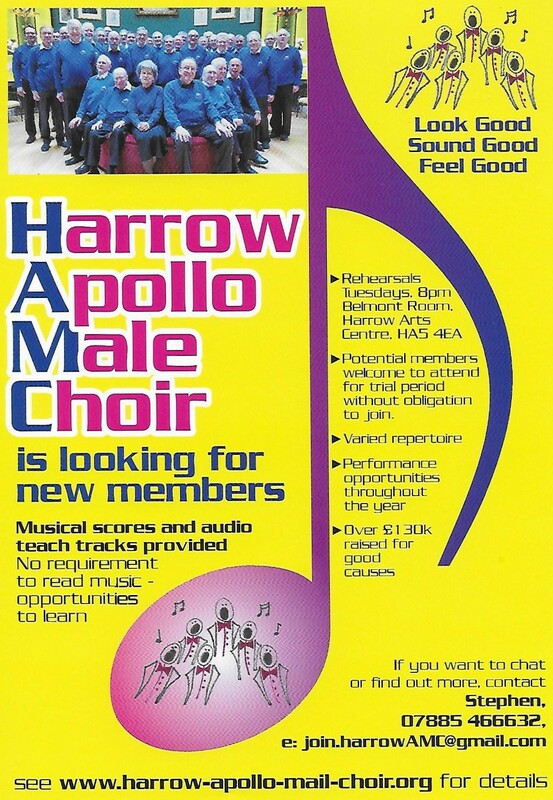 The Harrow Apollo Male Choir (HAMC) is a long-established, mixed-experienced, friendly choir that aims to perform to a professional standard in support of good causes, predominantly in Harrow and the surrounding area. We have a wide repertoire, with new songs introduced regularly. 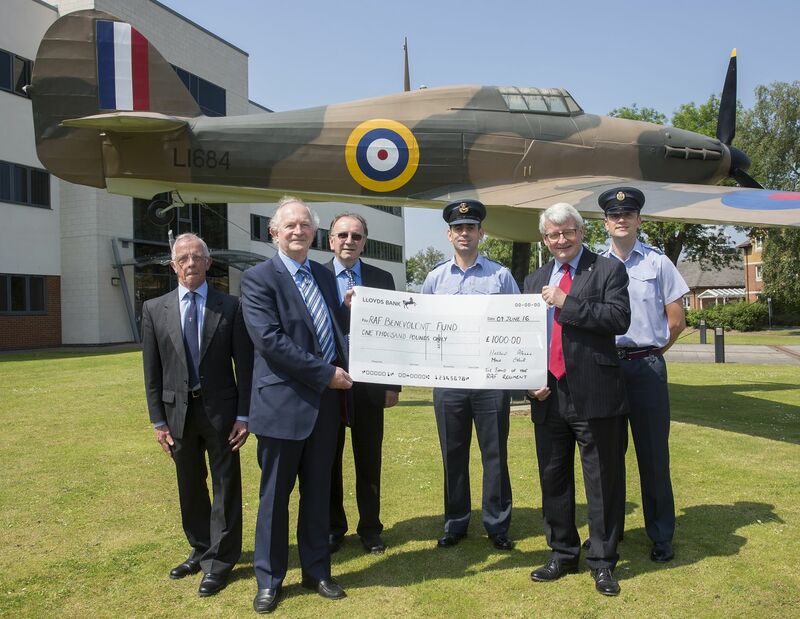 Our emphasis is on enjoying singing, whilst aspiring to a high standard; having fun and raising money for good causes. The HAMC membership comprises both choristers and associates. New members are always welcome.In addition to the Full Choir, we have an Ensemble of about 16 choristers, who are able to perform in smaller venues. If you are interested in joining us, see our Rehearsals page and our full list of events. Read more on our Join Us and Membership pages. Email: join.harrowAMC@gmail.com.to make contact. 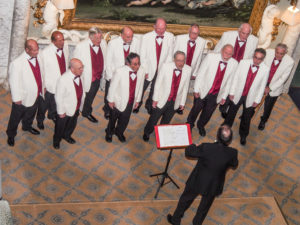 The Full Choir or Ensemble are available for a variety of events.We can provide a customised choral programme from our varied repertoire for whatever kind of event you have in mind.We also provide talks about the choir. Please contact our Concert Manager to discuss your requirements. (Tel.020 8868 2228 email:booking.harrowAMC@gmail.com). Price on application. We do not charge for charitable events.